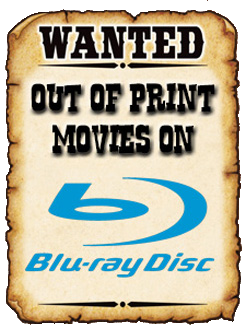 THE B-MOVIE NEWS VAULT: Scream Factory Wants to Be Your VALENTINE on February 12th! 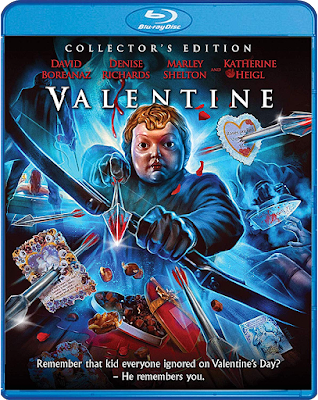 Scream Factory Wants to Be Your VALENTINE on February 12th! JAMIE BLANKS' FORGOTTEN SLASHER MOVIE FROM THE EARLY 2000S ARRIVES JUST IN TIME FOR VALENTINE'S DAY! I remember seeing VALENTINE on the big screen back in 2001, but aside from the little twist at the end I don't remember much else about it. In fact this seems like a movie that isn't discussed very often among horror fans, which is why I was extremely shocked to see VALENTINE get so much love from Scream Factory! Guess it's time to revisit this (possible) gem, which arrived a little late to the game after the slasher boom of the 90s! Synopsis: Revenge is sweet, just like Valentine's Day chocolates. At least, that is what a vengeful, Cupid-masked killer thinks. Be my Valentine ... or else! Broken hearts and other mortal wounds await a cast of contemporary young stars when they play dating-scene veterans dying for love in this humor-laced, twist-filled thriller cleverly directed by Jamie Blanks (URBAN LEGEND) and starring David Boreanaz (Angel, Bones), Denise Richards (STARSHIP TROOPERS), Marley Shelton (SCREAM 4, PLANET TERROR), Katherine Heigl (Grey's Anatomy) and more. Cards, candy and flowers are nice. But for fans of stalker-shocker terror, there's nothing like a VALENTINE. NEW! 2K Scan Of The Original Film Elements Supervised And Approved By Director Jamie Blanks And Director Of Photography Rick Bota! NEW! Audio Commentary With Director Jamie Blanks And Filmmaker Don Coscarelli, Moderated By Author Peter Bracke! NEW! Thrill Of The Drill – An Interview With Actress Denise Richards! NEW! The Final Girl – An Interview With Actress Marley Shelton! NEW! Shot Through The Heart – An Interview With Actress Jessica Cauffiel! NEW! Writing Valentine – An Interview With Co-writers Gretchen J. Berg And Aaron Harberts! NEW! Editing Valentine– An Interview With Editor Steve Mirkovich! NEW! Scoring Valentine – An Interview With Composer Don Davis! NEW! Almost 2 Hours Of Never-Before-Seen Behind-The-Scenes Footage From Director Jamie Blanks’ Personal Archive!